See your timesheets in different ways to accommodate your style and requirements. 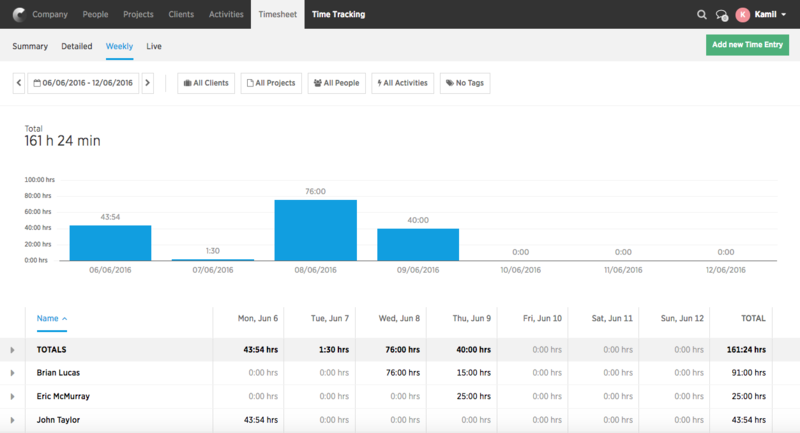 The timesheet is a place where you can find all the records of everyone’s tracked time. 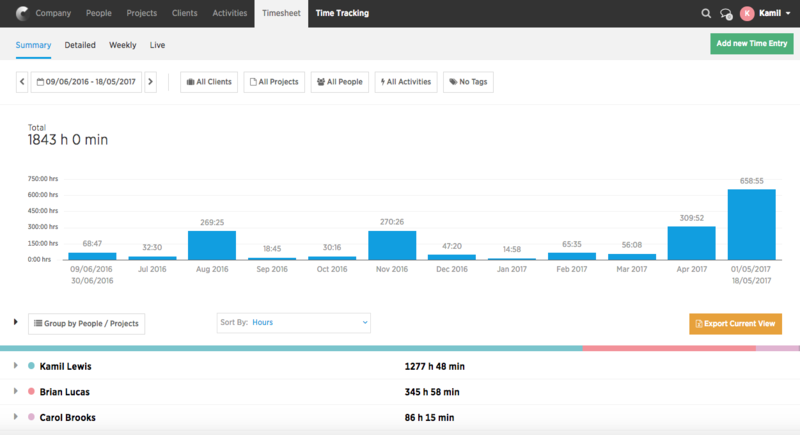 When you click people in the bottom part of the screen, you’ll only see the total time they tracked on individual projects during the selected time period. This timesheet perspective shows only the individual, day-by-day records. This is useful mostly for bulk timesheet editing or exporting timesheets to Excel for a client. 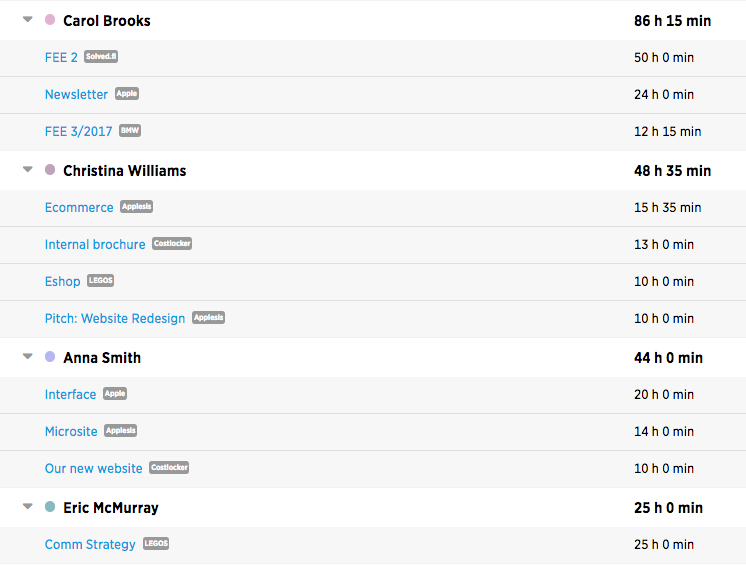 This timesheet perspective shows how much time your people tracked in the current week. That’s handy if you want to quickly see who hasn’t tracked anything yet. This timesheet perspective shows you who’s working on what in any particular moment. This is useful if you want someone to quickly fix something a client has reported – you probably don’t want to disturb someone who has been working on something for hours and rather ask a person who just started tracking instead. 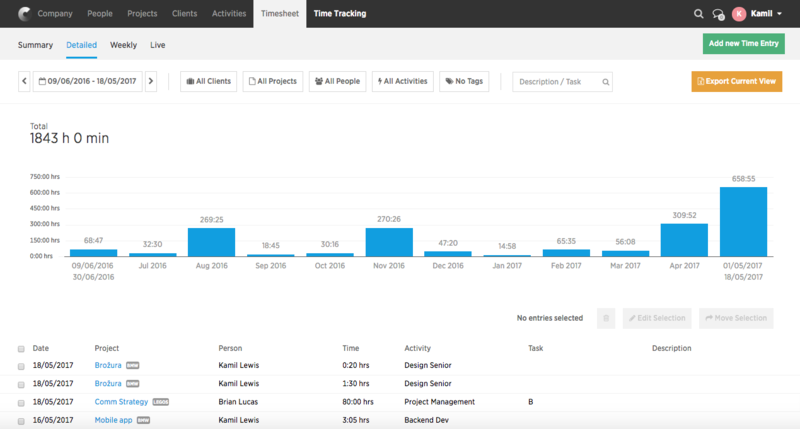 Moreover, live timesheets give you a chance to see what your employees are doing, especially if they’re on home office.